Vintage Old British Indian Postcard. 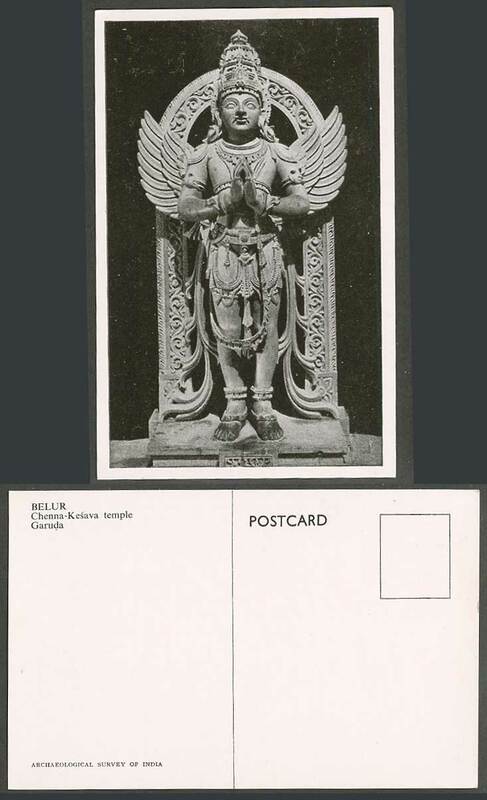 India, Belur, Chenna Kesava Temple, Garuda. Bird. Eagle and Human Features, Wings. Carvings Sculpture Statue. Background: Garuda is a bird creature from Hindu mythology that has a mix of eagle and human features. He is the vehicle (vahana) of Vishnu and appears on the god's banner. Garuda represents birth and heaven, and is the enemy of all snakes.